If traveling I-80, approximately 12 miles west of Princeton, take Rt 40 south. Continue south to Rt. 17. Turn right (west) on Rt. 17. Drive approximately 7 miles to Wyoming. At the 4-way stop in Wyoming, turn left (east). Drive 3 blocks, and you will see the water tower on your right. 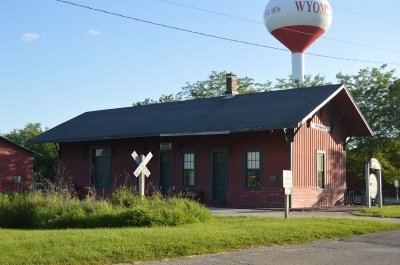 The park office is located ½ block past (east of) the tower in the Railroad Depot. 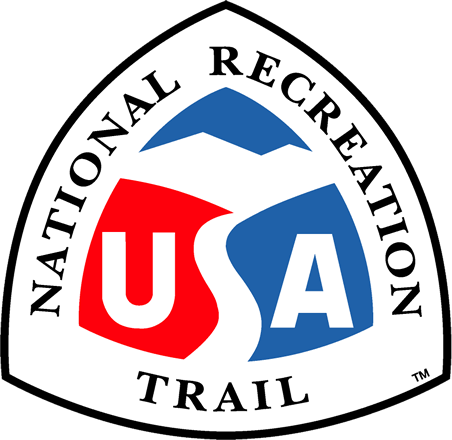 Park office is located at mile #20 on the trail. If traveling I-74, at the northwest corner of Peoria, take Rte 6 north to Chillicothe exit (the outer loop 474 turns into Rte 6 north at the junction of I-74). Drive to 3rd exit-Allen Road exit. Turn left (north) onto Allen Rd. After approximately 1 mile, the road will curve to the left, follow the left curve. You will be driving through Alta at this curve. Drive 7 tenths of a mile past the curve to Rock Island Trail parking lot on the right (north) side of Alta Rd. This is Mile 0 of the trail. The Rock Island State Trail, named after the abandoned Rock Island Railroad line it races, is a 27-mile hiking-biking trail between Alta and Toulon, northwest of Peoria, Illinois. The Trail corridor, generally 50-100 feet wide is a natural ribbon in central Illinois farmland, tree-canopied, with wildflowers and prairie grasses. The Trail includes several trestle bridges: one spanning the Spoon River, well known from Edgar Lee Masters' Spoon River Anthology. The Peoria and Rock Island Railroad Co. was granted a charter to construct a railroad between Peoria and Rock Island on March 7, 1867. Construction began two years later, and the first regularly scheduled passenger train passed over the Rock Island line on July 8, 1871. For more than 40 years, passenger and freight trains used the line, but by 1915, rail traffic began to decline and ceased completely by the late 1950's. Thanks to the foresight of Peoria's Forest Park Foundation, the abandoned railroad right-of-way was acquired in 1965 and donated to the State of Illinois four years later. Early attempts to develop and open the corridor as a trail were met with considerable opposition, especially from adjacent landowners. Fortunately, the concerns of all interests, including adjacent landowners, were addressed and today, the Trail is popular attraction and many former opponents are now supporters of the Trail. The trail corridor is well vegetated, with trees, prairie grasses and wildflowers. The Trail is within the Grand Prairie Division, a vast plain formerly covered with tall grass prairie. As the Trail has reverted to nature, much of the prairie has returned. North of Princeville is a dedicated State Nature Preserve. At Kickapoo Creek Recreation Area, 14 acres have been restored to native prairie. The trail surface is crushed limestone. Trestle bridges cross several streams and the Spoon River, made famous in Edgar Lee Masters' Spoon River Anthology. In Wyoming, a visitor center/museum and site office is in the restored Wyoming, Chicago, Burlington & Quincy Railroad Depot. The Trail is primarily a hiking-biking trail. Visitor facilities include parking, toilets and primitive campground in the Kickapoo Creek Recreation Area, with toilets, fire pads, picnic tables, water and a picnic shelter. Front and northern side of the Wyoming CB&Q depot along the Rock Island State Trail. Photo by Nyttend.